In this Labor Day weekend edition of the Leadership Development Carnival, I'm going take the opportunity to acknowledge and thank some of the hard working leadership bloggers I've gotten to know and respect over the last few years. These are the ones who I read on a regular basis, have consistently supported me, and that I would welcome the opportunity to have dinner or a cup of coffee with. They are indeed “FOGLs” – Friends Of Great Leadership. Wally is the master of the leadership development blogosphere. He recently published his 1000 post this year! Wally was one of the first bloggers to comment on Great Leadership, and he’s been like a blogging mentor for me and countless others. I love his writing style, he really knows his stuff, and he’s a true gentleman. His specialty is the front-line supervisory – he’s their biggest champion. In addition to being an awesome writer, Wally also is a keynote speaker, trainer, and coach. Check out his blog, his website, and his Working Supervisor’s Support Kit – a must-have survival kit for any new supervisor. Here is What if we chose leaders differently? posted at Three Star Leadership Blog. Steve’s blog, All Thing’s Workplace, has been voted as the Best Leadership blog for the last two years. And I have to say… it is! Hey, even I voted for it over my own. I’m amazed at the number of incredible posts Steve can put out in a week. And they are all great! In addition to blogging, Steve’s also a worldwide coach, consultant, speaker, and trainer. I’m so impressed with Steve’s insights. He’s to CEOs what Wally is to supervisors – he really knows what makes them tick and how to help them succeed. Steve’s been a good FOGL, and I hope to meet him for some seafood some day. If you’re looking for great advice, read Steve’s blog. Here is All Things Workplace: I'll Change If You Tell Me What You Really Want posted at All Things Workplace. Jason’s a speaker, coach, trainer, award winning author, blogger, and all around great guy. He’s been a big supporter of Great Leadership and we serve on the SmartBrief on Workforce Advisory Board together. I love his no nonsense approach to leadership development. He cuts through the fluff and fads and makes it real. There’s a lot of education and experience behind Jason- the guy’s got an MBA from Northwestern’s Kellogg School of Management and his Bachelor’s from Wharton, as well as executive experience with some top notch companies. He just presents himself in a very down to earth, humble way. Check out his blog, book, and website. Although Jason didn't submit a post this month, here's a sample of his work: Screw Your Career Path. Live Your Story. Mary Jo has been a long time FOGL. She’s a coach, speaker, trainer, writer, and writes the blog Intentional Leadership. I love what Mary Jo has to say about all things leadership. Coaching is her real sweet spot – it’s very apparent to me she’s a genuine expert in that field. Mary Jo just hosted the August Leadership Development Carnival and is a frequent Great Leadership commenter and Twitterer. She always has something valuable to add to the conversation, and has been an inspiration for my writing. Here is Four Selfish Reasons to Develop Your Employees posted at Intentional Leadership. Art’s knows a lot about a lot of things, but I’d call him the project manager, strategy, and marketing expert. He’s a speaker, trainer, professor, writer, and consultant. I consider his book, Practical Lessons in Leadership, to be a must read for any new manager. Or for any experienced manager for that matter. His blog, Management Excellence, is always at the top of my reading list – it's chock full of excellent advice, how-to-guides, and even a free ebook. Art’s a trusted and valued FOGL, is a great guy, and I’m looking forward to getting together in Chicago some day for a stuffed pizza with him. Here is New Leader Identification: Exploration Before Promotion! posted at Management Excellence. Scott literally wrote THE book on executive presence and what it takes to succeed at “The Next Level”. I had been using Scott’s book for a while, often giving a copy to newly promoted VPs. So I was glad to see his first comment on my blog. I ended up giving Scott a few blogging and social networking pointers, and wow, in a short time his Next Level blog has really taken off. It was voted as one of the 10 best leadership blogs in 2009, and is often featured in SmartBrief on Leadership. It’s no wonder that Scott’s blog has done so well. 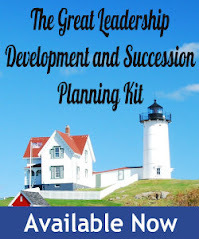 He’s a clever writer and writes about what he knows very well – executive development. Scott’s an executive coach, writer, speaker, and trainer. If I could pick my own executive coach, it would be Scott. But for now, I’m glad to have him as a FOGL. Here is What Leaders Can Learn from Lab Rats: Five Tips for Beating Stress posted at Next Level Blog. Becky writes the relatively new blog, Leadership Talk, developed in collaboration with Mountain State University's School of Leadership and Professional Development. Becky has quickly built her blog into another one of the top 10 Leadership Blogs of 2009 the old fashioned way – hard work, great content, and relationship building. She’s a frequent commenter, contributor and Twitterer on Great Leadership, as well as many other leadership blogs. While Art Petty initially convinced me to give Twitter a try, Becky has taken the time to patiently teach me the ins and outs. Here is Organic Leadership Development posted at Mountain State University LeaderTalk. First of all, you’ve got to read Jim’s bio. What a life! That’s why he brings so much to the table when he writes about leadership development. He’s been there and done that. I’d characterize Jim as a “deep thinker” (way deeper than me!) and I’m always inspired by his wisdom. Jim’s a blogger, author, speaker, and consultant (mostly C-suite), and someone I’m looking forward to meeting next time I’m in San Diego. Jim also didn't submit a post this month, so I picked What We Want From Work, the start of a series Jim will be writing in the next couple weeks over at Managing Leadership. I love FFOT! Founded by blogging leader Kris Dunn, FFOT features posts from some of the best talent management bloggers on the planet. Jessica Lee is the Editor. This post is from Paul Hebert, posting on Fistful of Talent... on management skills we don't teach including what's a manager to do once their team is in top top shape and the comparisons of it being like having an empty nest as a parent. The One Management Skill We Don't Really Teach... posted at Fistful of Talent. Mark's an HR leader, an awesome blogger, and a great guy. He's the founder of Inflexion Advisors, a financial, operational, marketing, market development and organizational consulting firm. He also writes Inflexion Point, one of my favorite HR blogs. Here is Criticism - Much Ado About "Nothing" posted at Inflexion Point. Chris has generously promoted Great Leadership over at his Maximizing Possibility blog, often selecting my posts as one of his "Fab Five Blog Picks of the Week". Chris is the founder of The Rainmaker Group, a top-notch talent management consulting firm. Here is Onboarding New Employees - Six Steps to Success posted at Maximize Possibility Blog. Taking the path of motivator or controller is a function of how one thinks, still, it is a choice and not one locked in stone. In Charge Or In Control posted at MAPping Company Success. Meg's one of the featured bloggers over at Talented Apps, an awesome group of Development and Strategy individuals within the Oracle Fusion HCM team, and a regular contributor to the Carnival. Meg Bear writes about the need to find better and more effective ways to recognize people vs. putting so much pressure on the promotion process. Promotions and job fit posted at TalentedApps. Corrupt Instincts and Leadership posted at Epic Living - Leadership Development Career Management Training Executive Life Coaching Author. Some of you may not yet know Sharlyn, a.k.a, The HR Bartender. She's an emerging force in the HR blogosphere, and is becoming one of my favorites. See why: Is being nice a leadership competency? Nice and Likable posted at HR Bartender. Alice is the Vice President, Taleo Research, blogs for The Taleo Blog, and is a regular contributor. In addition to barbecues and beaches, the US Labor Day holiday is a time to celebrate workers and contemplate the future employment landscape....But what do workers want? Alice presents Taleo Blog - Talent Management Solutions - Labor Daze posted at Taleo Blog - Talent Management Solutions. stories leaders tell themselves that prevent teams from optimal performance. Jennifer presents What Stories Are in Your Bedrock? posted at Jennifer V. Miller. Gotta pay tribute to Anna - she founded an earlier version of the Carnival. Anna Farmery presents Show 256 - Reward and Recognition for Employees posted at The Engaging Brand. Bill's another one of my regulars and a great guy. I love his words of wisdom. Here is Management Genius: Stirring the Pot posted at Business Wisdom: Words to Manage By. Michael's a steady regular, and I'm a regular reader of his Lead on Purpose blog. Here he writes about if you really want to value something you have to work for it. Ultimately you will not find joy in what you do without working diligently, and you cannot achieve success without making a concerted effort. Michael Ray presents Value comes from work posted at Lead on Purpose. Erik Samdahl presents New Managers: Alone and Out of Their Depths - i4cp posted at David Wentworth. Nick McCormick presents Facing the Hard Facts About the Soft Side of Business posted at Joe and Wanda on Management. Halston Williams presents Leadership for young people posted at Halston Williams. A key to leadership is recognizing the work of all employees. A young Marine's death brings this principle home. John Phillips presents Recognizing Employees? Work: It?s Critical posted at The Word. Having an effective team is a must. This post talks about helping your team to be effective. Utpal Vaishnav presents How To Inaugurate Effectiveness In Your Project Team posted at Utpal Vaishnav. Sam Carrara presents Recalibrate Your Business posted at Sam Carrara's Marketing Education. Is this a leadership style that is appropriate to all companies?Is this the only way that companies need to be managed especially in times of turbulence? Great Management Tips presents Is win at all cost the no 1 quality for great leaders? posted at Great Management Tips. Jonathan Alan presents What Is A Leadee? posted at Leader-Leadee. Shawn M. Driscoll presents Signature Spotlight: The Institute for Leadership Fitness™ posted at Shawn Driscoll. Leaders and mangers often say things that send the wrong message and unintentionally bring up topics that distract the teams. How often has THAT happened to you? Communication is a hard skill. But it can be learned by conscious effort and diligence. CA presents Mastering Communication at Work: How to Lead, Manage, and Influence - Review posted at Atlantic Canada's Small Business Blog. What experience do you have with fiery managers? Manager skills presents Is a fiery temperament the no 1 must have quality for great leadership posted at Manager skills. This post details what the game show The Price is Right can teach managers about motivating employees: Aaron Windeler presents The trick to motivating employees: watch The Price is Right posted at Scientific Management. Management interview questions are questions that focus on evoking a reaction from a candidate for a certain purpose - to provide a general image of the manager (i.e. the candidate). nissim ziv presents Management Interview Questions and Answers posted at Job Interview & Career Guide. Next month's Leadership Development Carnival will be on October 4, hosted by Becky Robinson of Mountain State University Leader Talk. Oops! Thanks for covering for me this month! But, especially, thanks for yet another terrific presentation of some really remarkable resources - I've been spending some time here becoming acquainted with much of their work - among my best-spent time this week. And congratulations as well on your top-100 listing with The Daily Reviewer! You really outdid yourself this month Dan and I'm humbled and honored to be among such fantastic company. Thank for continuing to serve as a collaborative and engaging voice for the broad leadership community. 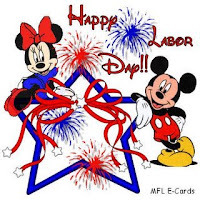 I hope everyone has a wonderful holiday weekend! Dan - Let me ditto Mark's comment. You really did an awesome job with this month's Carnival. Thanks for including HR Bartender. I'm honored to be mentioned with such terrific bloggers. Enjoy the holiday weekend. Cheers! Much appreciated Dan, your efforts in bringing together great leadership resources. Here are my blog regards to your great efforts. Dan, I want to thank you for your work to promote a community of great writers. This post with the "appreciative" comments is really superb. Thanks also for highlighting my own post nestled in with all of these amazing thinkers. I am speechless (or "writeless"?). Dan, Thank you for another great Leadership Development Carnival. You've done a great job highlighting the entries and promoting the writers. Many thanks! Thanks all for your kind words and support. It was was one our best edtions, thanks to all of you!